Warehouse overhead crane is a common industrial crane, and as its name implies, it is used to load, unload and transport materials in the warehouse. 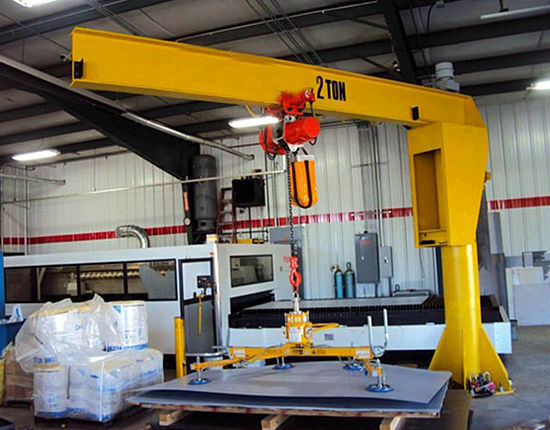 This overhead crane is especially popular in the manufacturing industry as it can replace human power to carry heavy loads. With this equipment, the lifting of goods through the entire area of the warehouse can be achieved. The warehouse crane runs on the tracks which are two parallel beams mounted on the warehouse columns. 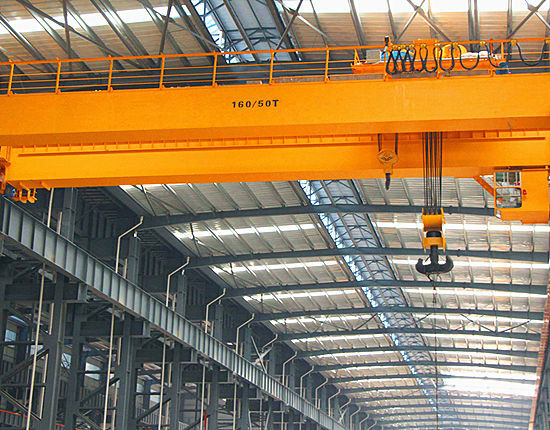 Overhead cranes have various types with different configurations, such as single girder or double girder. Each type of crane has its own advantages, so the customers should consider their specific needs carefully such as the loading capacity, the application and the physical conditions of the warehouse so as to make a proper purchase decision. 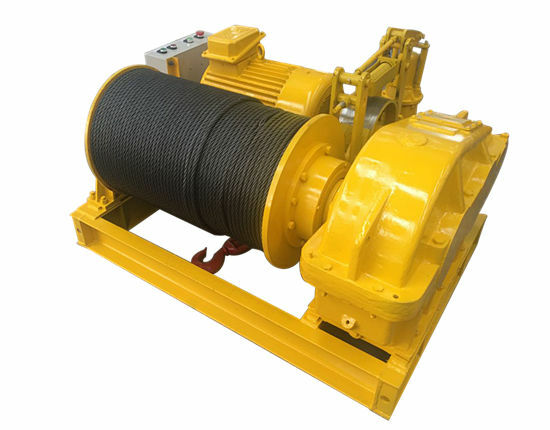 The materials you are going to handle and the specification required for your overhead crane such as the lifting capacity, lifting height and span of the crane. The frequency of the crane use. 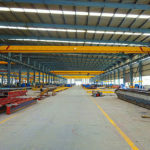 Some overhead cranes are light duty and cannot be used in a busy and frequent working environment, while others are heavy duty and can do the heavy work constantly. Thus you should determine how often you use the equipment. The cost you are intended to pay for a crane. How many budget you allocate to purchase a warehouse crane? Which type do you prefer to choose, the ordinary overhead crane, or the Europeantype overhead crane? We can provide the best crane solution within your budget. The way you decide to operate the overhead crane. Generally there are three methods, pendant control, remote control and cab operation. You can choose one of them or two combinations on the basis of your requirement. We suggest you think about these factors carefully, and then we will help you select the most suitable solution for the warehouse crane. 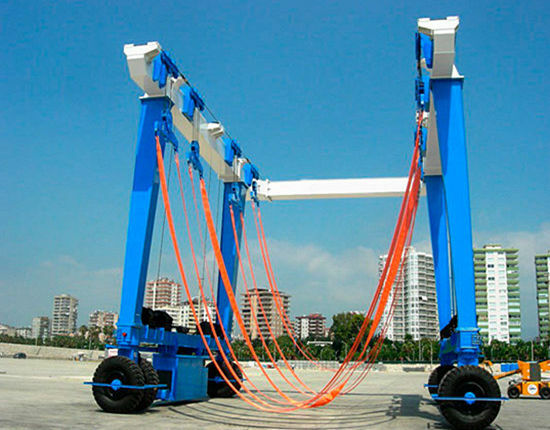 In addition, we provide customized overhead lifting equipment. Overhead crane is regarded as the most widely used lifting device in the warehouse, and it has the ability to do a lot of large and heavy work which the manpower cannot. 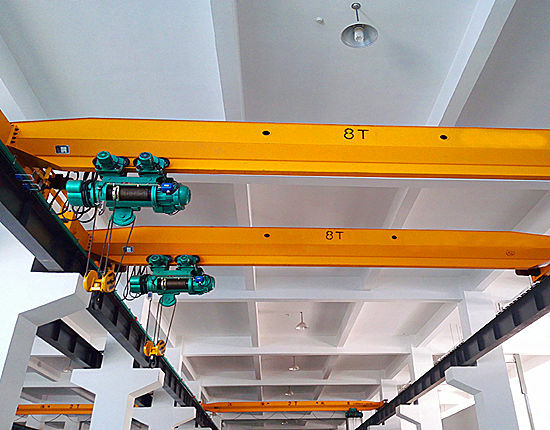 Therefore, users can benefit a lot from using this warehouse crane. The overhead crane can continuously work for a long time, greatly reducing the labor cost and improving the working efficiency. 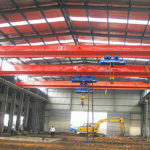 And it can make full use of warehouse space, which helps the customer reduce the additional investment. 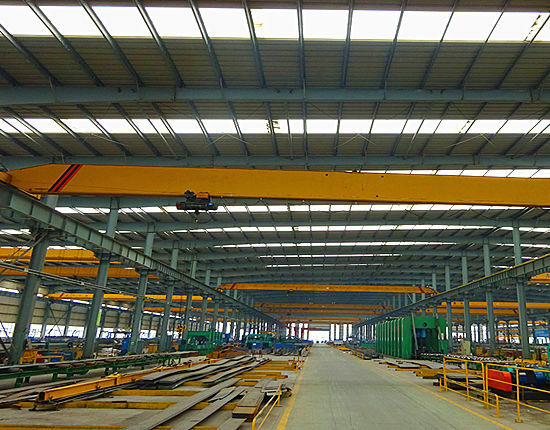 Our overhead crane equipment has good combination, multiple specifications, and various types for your choice. 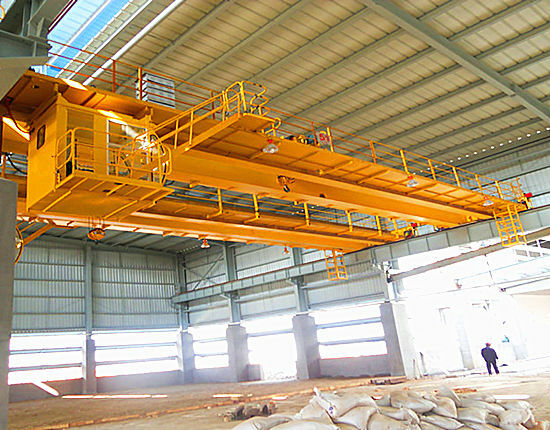 The warehouse crane has simple structure, reliable performance, low failure rate and easy maintenance. We introduce advanced design concept and technology in order to make sure the products safe and reliable. The adoption of high quality components and advanced control technology can ensure excellent performance of the crane. Among so many warehouse bridge crane suppliers in China, how does Ellsen strive to stand out among the competitors? One of the most important things is that we always adhere to the principle of quality first and customer-oriented. For decades, we have always learned the latest design and manufacturing technology and introduced advanced processing equipment to guarantee the product quality. We also choose to cooperate with excellent component suppliers to ensure the quality of every part of the crane. For customer service, we keep receiving training to improve ourselves for better serving our customers. We hope to build a solid relation with our client, so we constantly make efforts to satisfy the client through professional technical support and sincere service. 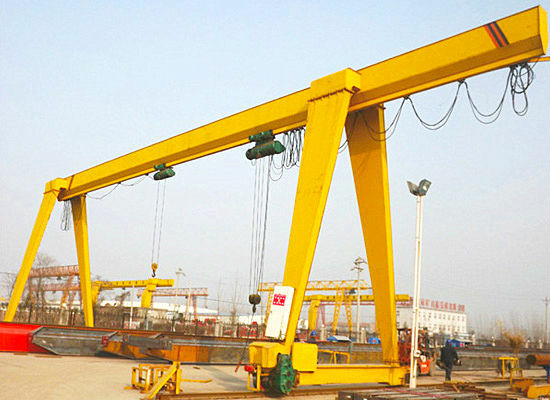 If you are interested in our warehouse overhead crane, we warmly welcome you to contact us online or visit our company. Looking forward to cooperating with you! 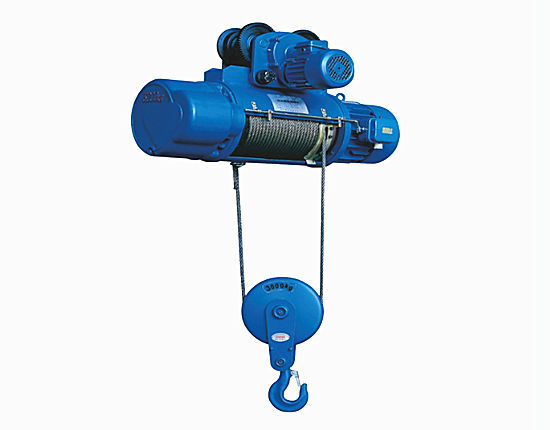 The warehouse crane system mainly consists of three running mechanisms, that is, lifting mechanism, crane running mechanism and trolley running mechanism, of which the lifting mechanism is mainly composed of electric hoist, wire rope, pulley, hook or other spreader. 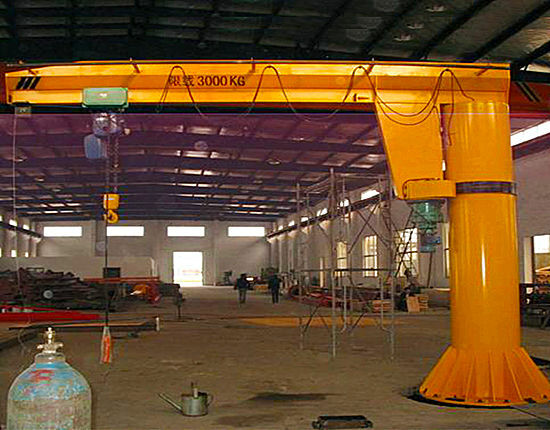 The metal structure of overhead crane includes the main beam and end beam. 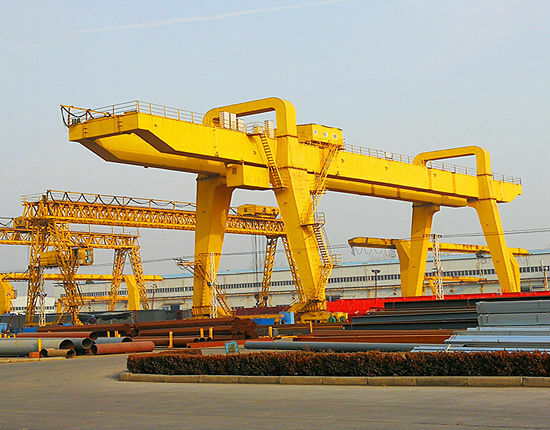 The main beam is mostly a combined section of I-beam and steel plate with criss-cross reinforced ribs in the beam box, and its performance directly affects the crane’s working quality and ability. The electric control system is mainly composed of control box and operation button box with the protection and warning functions, such as the warning of overload and pressure loss.